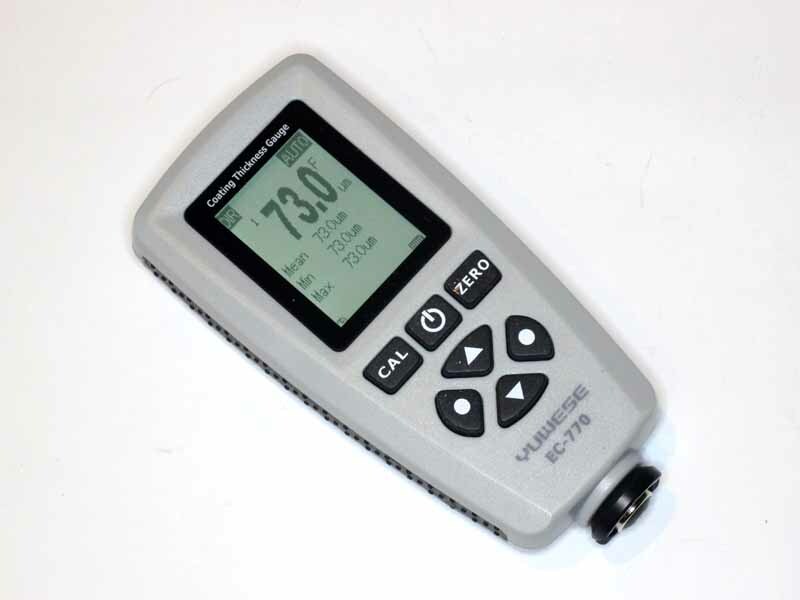 Above the EC-770 electronic coating thickness gauge used for the survey. Zinc thickness varied from less than 10µm for some electro-zinc products to more than 150µm for two articles that were custom hot dip galvanised. Most light steel structural sections in new condition measured in the range 10-20µm. New galvanised nominal bore pipe (water pipe) was 40-50µm. Of course zinc weathers, so older product subject to weather has reduced coating depending on time and factors like rainfall, atmospheric pollution etc. As explained in the articles linked above, effective RF resistance is a complex function of product dimensions and material properties, and is subject to skin effect (where current density is highest near the conductor surface). When the coating thickness is more than two or so skin depths. Skin depth is frequency dependent, and dependent on material resistivity, it can be calculated at Skin depth calculator . Although zinc has higher resistivity than copper, current flows ‘deeper’ into zinc and the effective RF resistance of a sufficiently thick zinc coating is less than double that of copper… so that is not too bad. But… at 3.5MHz, skin depth in zinc is 65µm and most galvansed wires or standard structural and plumbing galvanised products will not have sufficient zinc to exhibit zinc like RF resistance. That is a bigger issue for small sections like galvanised fence wire, less so for a large diameter tube where the cross section area of the thin zinc coating is greater, and there might be multiple sections in parallel (eg three legs of a lattice tower). Lattice towers tend to be heavy hot dip galvanised after fabrication and the zinc thickness needs to be measured rather than estimated from production steel tubes and pipes. So… it is fairly complicated. New light electro-gal products are most likely to be in the 10-20µm range, production steel wires and pipes around 40µm and custom hot dipped product could be anywhere up to 200µm.